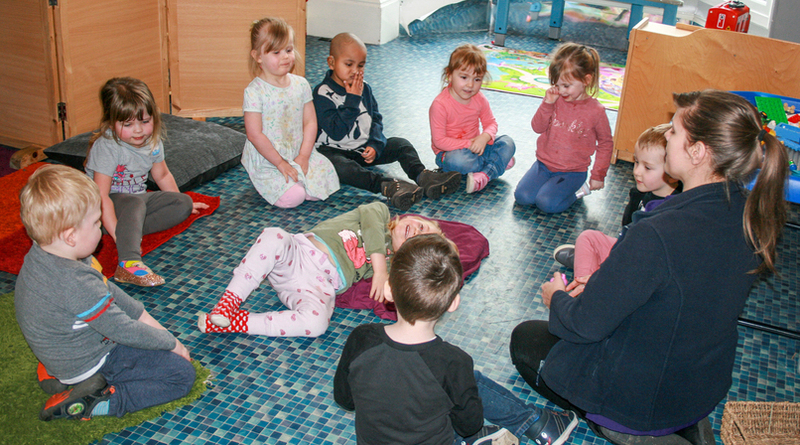 Throughout every day we aim to provide activities that are challenging, exciting, purposeful and relevant to every child’s age and stage of development. Activities have an objective for either one or many of the Early Years Foundation Stage (EYFS) learning areas. All activities take place inside and outside and may be working alone or in small groups. As well as the adult planned activities our routine allows for self-chosen tasks and is flexible for child lead activities to be introduced. We believe that all children learn skills and gain achievements when doing things they enjoy. Below is our flexible daily routine. Depending on the children, activities may change. We do however ensure the children’s personal needs are met and meals are provided as near as possible to the times below. Meet and Greet / Choice Play: The children play within the areas set up, while staff meet and greet arriving children and speak to parents. Snack and Group Time: Time for a healthy snack during activity, which may be discussion or story. Structured Play and Activity: Children play with set out areas and complete activities. Meal Time: Children ready themselves and eat a healthy meal. Relax & Depart: The children play within the areas set up whilst staff speaks to parents and say goodbye to departing children. At Kiddie Kastle we work as a team and encourage all that join us to be a part of this. We do have our own individual roles but will support each other too. Each room has key workers who are responsible for the education and personal needs of all the children in their room. This is ongoing and an important part of our staff daily routine. We assess, plan and record through observation, photographs and discussions so that each individual child’s existing skills, knowledge and understanding can be taken into account and built upon. Throughout their time at Kiddie Kastle, we aim to build a picture of every child’s development to pass onto future primary educators. We do this by having an online profile that both Kiddie Kastle and parents can use to build a picture of each child’s developments and achievements.